Are you looking for very small monitors to save money? Or is it just that you have a great craze for small gadgets. One can also look for mini monitors just to save some space on their working table. Whatever the reason is, we are here with another awesome list of smallest gadgets that are available today. These are the smallest monitors which can be used for various purposes. It is the smallest monitor with a screen size of just 3.5 inches. It supports Raspberry computers only like Raspberry Pi 3 Mode B+, 3 Mode B, Pi 2 Model B, Pi Zero and Pi B+. There is no HDMI port to connect to another device, instead, it uses SPI (serial peripheral interface). 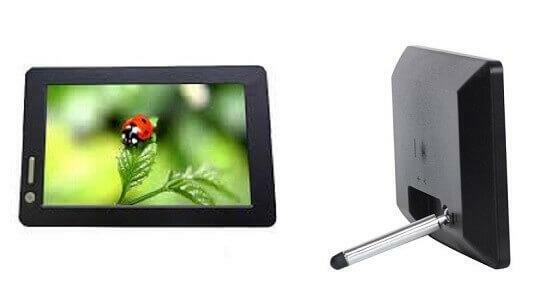 This TFT LCD display monitor comes with a touch pen. The price of the product is really low and there are mixed reviews about this product on Amazon. A tiny monitor to install in your car. It is the smallest monitor designed to be connected with your car’s camera. The monitor is available at low cost and still gives a clear picture with stable performance. It will be really helpful in preventing accidents while reversing the car. You can also connect it to other devices like DVDs to watch videos and even play games. This is the best mini Monitor with all the necessary features you are looking for. The bright saturation screen with high resolution produces a good quality picture. It is very portable and can be used for a lot of purposes. There are many input ports like AV/RCA, VGA, HDMI so it can be used as a PC monitor, Raspberry PI monitor, CCTV security monitor, car back monitor, monitor for your camera, mini TV screen etc. It has multi-functional touch buttons on the monitor as well as a remote. You can even rotate the screen from the menu and control brightness too. It also has inbuilt speakers. This slim design monitor is also energy efficient and designed to meet environmental standards. It is the most portable small screen size LCD monitor. 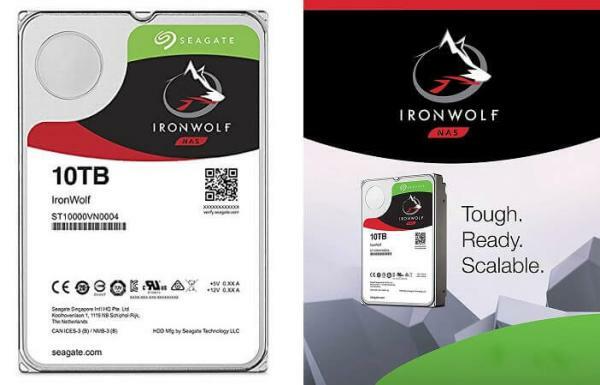 It is compatible with your Windows and Mac PC. There is no requirement for additional power adaptors, as it uses the power from connected device through USB. This monitor is best suitable for people who have to work on 2 screens at a time. you can use it in both portrait and landscape mode. It is one of the best smallest monitors with HDMI inputs and excellent resolution screen. This monitor is compatible with Windows OS and can serve for other tasks as well. It supports HDMI, VGA and AV input. 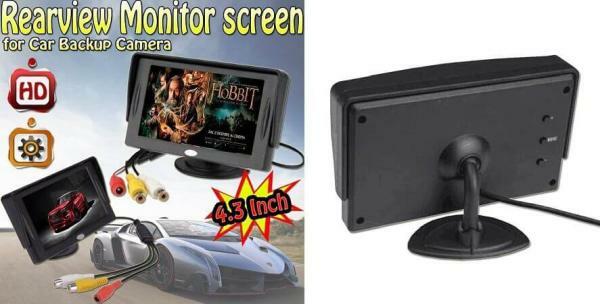 So, you can use this monitor for car rearview cameras or CCTV surveillance camera or other video equipment. It has some good reviews on Amazon. If you are looking for a little bigger screen than the smallest one and also better screen resolution, this is the one you should go for. This compact monitor has many input options including USB, VGA and HDMI. It also has built-in high-quality, dual speakers. It is compatible with your PC and DVD and best suited for vehicle display and CCTV surveillance purposes. This is a mini LCD monitor and the most useful one in this list. This is probably the smallest monitor with 1920X1080 HD resolution. The monitor supports Windows PC, car audio and video, medical equipment display etc. 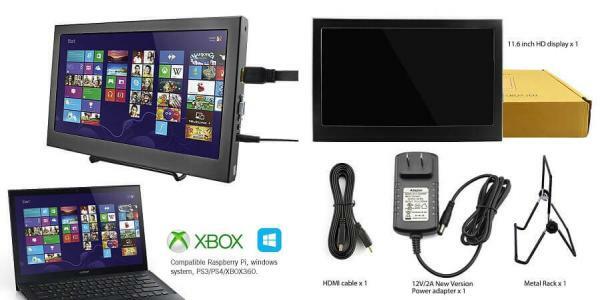 It is also the smallest monitor for XBOX 360, PS3 and PS4. It has VESA Wall Mount Pattern, so you can attach it to the wall like a TV and save some space on your desk. A small rack is also in the package, that can support the monitor if you don’t want to mount it on the wall. Often you need extra monitors for surveillance purposes, also while designing something, sound mixing, other multitasking etc. This list might help you in finding a good solution as per your requirement. If you need some smallest laptops or smallest keyboards, we have made a list of them as well. You can ask us any query regarding these gadgets in the comments.